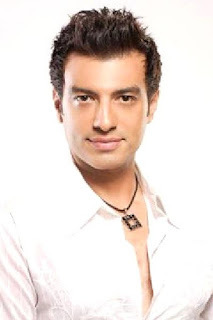 Ehab Tawfik, an Egyptian singer, was born on January 7, 1966 in Cairo, Egypt. Full report on the life story of Ihab Tawfiq, biographical information from Wikipedia and the latest news. Full real name: Ehab Ahmed Tawfiq. Date of birth: 07 January 1966. Years of work: 1990 - present. Ehab Tawfiq was born on January 7, 1966 in Cairo, the capital of Egypt. He began his artistic career in the early 1990s, born on January 7, 1966 in Cairo, the capital of Egypt, the only son of his parents, the director and his mother. Ihab had a younger brother named Mohammed Tawfiq in an unfortunate accident that killed him when he was in his twelfth spring. His talent appeared early in his memorabilia for the songs of Umm Kulthum and Abdul Wahab. He was always on the school stage as a solo singer and his colleagues followed him. He also learned to play the oud by a friend of his father, Professor Shukri. He was nine years old. He had a remarkable ability to memorize notes in a short period of time. Art and music. Ehab was one of the outstanding students in his class. After completing his studies and becoming a teacher at his university, he suggested that his friends participate in a talent competition. Ehab did not know at the time that it was a point where the doors of the world were opened. Ehab participated in the competition. The jury included Mohamed Abdel Wahab, Ehab is the winner of the first place in the competition and then proposed by the artist Mohamed Abdel Wahab to be the name of his fame "Ehab Tawfik" to be a milestone in the art and a sign of originality, creativity and excellence and this was the beginning of his career, which was predicted by Abdul Wahab. The debut of Ehab El Fani's career was in 1990 and his first album was Asmarani or Danny. The album included new talent and Ihab among them. The success of the song was not expected by Ehab joined a producer company to have his first solo album: Akmani ...... Ihab successes. But there are times when Ihab thought of quitting the abuses he suffered from the press because he was touching his most precious people (his parents) but his loving audience persuaded him to reverse and to prove his return strongly to the sad men. Sahrani's album was in 1998 after two years of disappearance. To 500 thousand albums in Egypt only in a short period of not more than two weeks and to prove Ehab feet and no one to doubt his talent decided to support science, he received a doctorate on the date of April 10, 2001 and received the honors also was his message about art in the last half Of the twentieth century and included the mother generation The garlic through the generation of Abdel-Halim leading to his generation.